The turbine hall on the other side of the corridor makes up most of the Power Station . 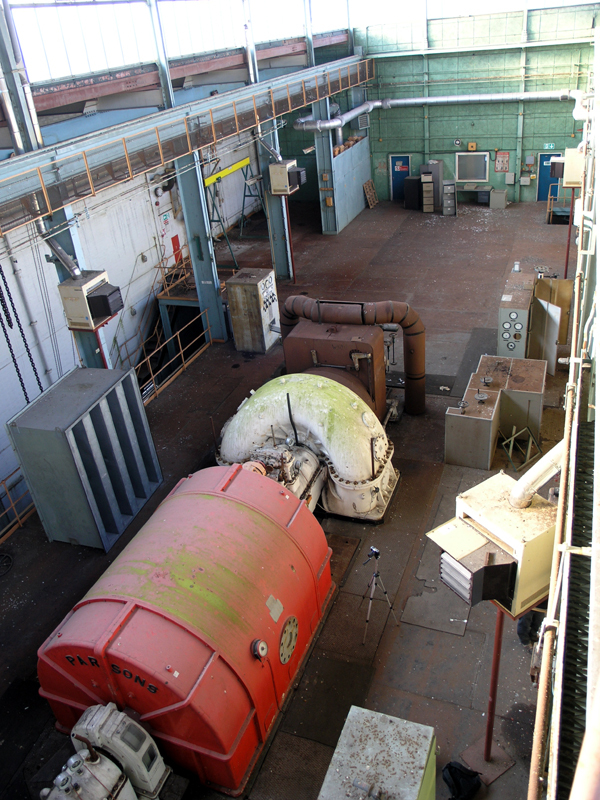 There’s space for two turbines but only one Parsons generator still remains in-situ. This is the first floor with the turbine mountings, piping and cabling on the floor below. Turbine hall looking north from the elevated position of the crane gantry.